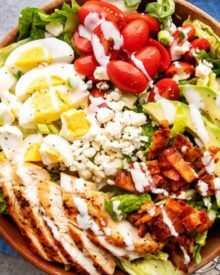 Fresh, healthy and easy, this Cobb salad is keto and low-carb friendly, and comes with a delicious homemade ranch dressing! Looking to lighten up your diet a bit? This hearty salad will keep you full for hours and tastes fantastic! We’re a few weeks into January, how’re you doing with your resolutions? 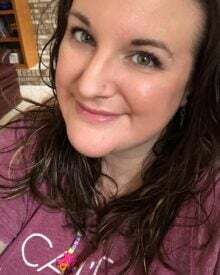 I always fail at any weight-loss resolutions, so mine were much more like personal and business goals this year and so far, things are going well! 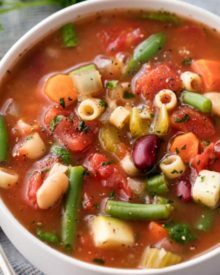 Even if you haven’t made any weight-loss/healthy resolutions, we all have those times where we’ve over-indulged over the weekend and need something light, refreshing and healthy for lunch the next day. 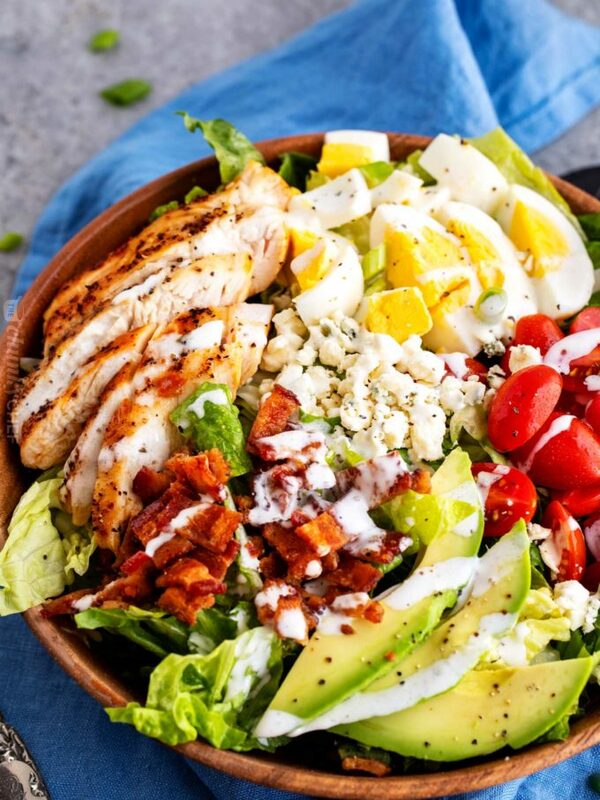 This Cobb salad is hearty and filling, basically what every salad dreams to be! WHAT GOES IN A COBB SALAD? 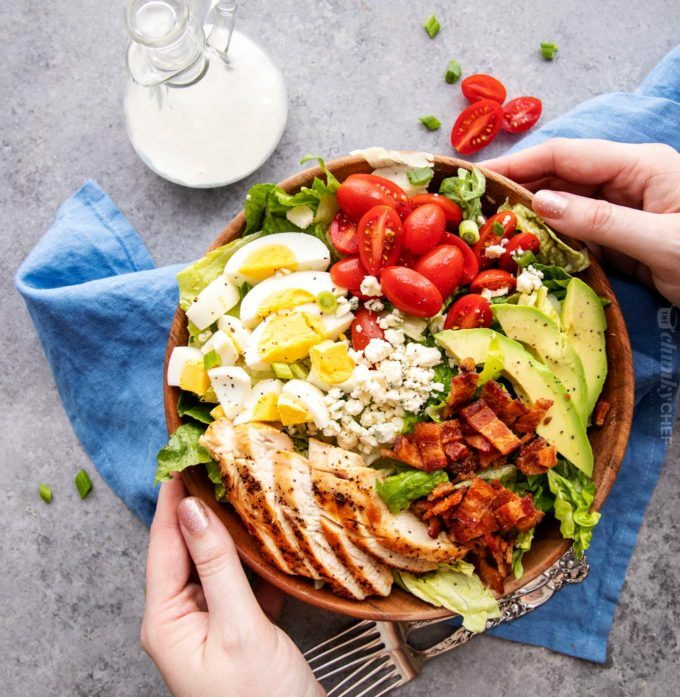 A Cobb salad is an American entree salad made with chopped lettuce, crispy bacon, sliced or diced chicken, tomatoes, hard boiled eggs, avocado, green onions or chives and some type of cheese. 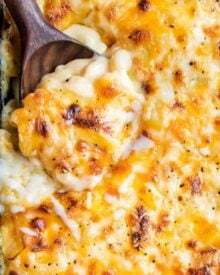 My personal favorite cheese to add is blue cheese, but a nice sharp cheddar is great as well! Yes! 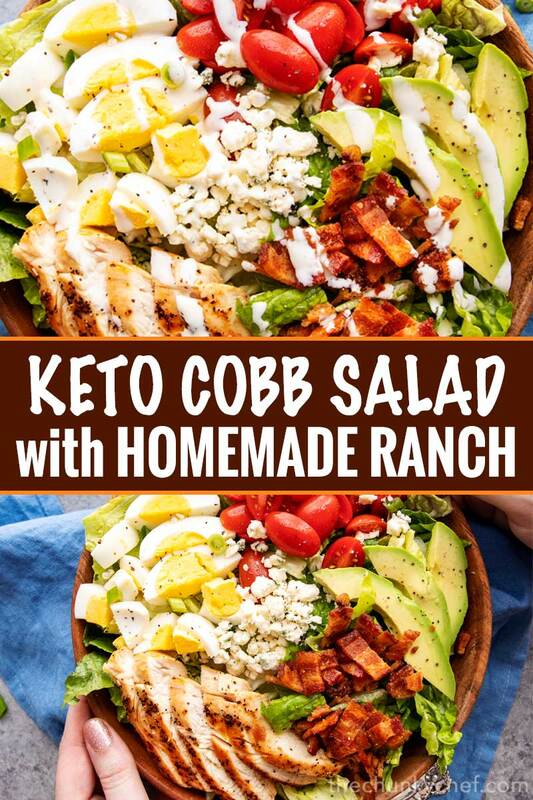 Cobb salads are, by nature, a low-carb meal. Plenty of protein, low carbs and high fiber. 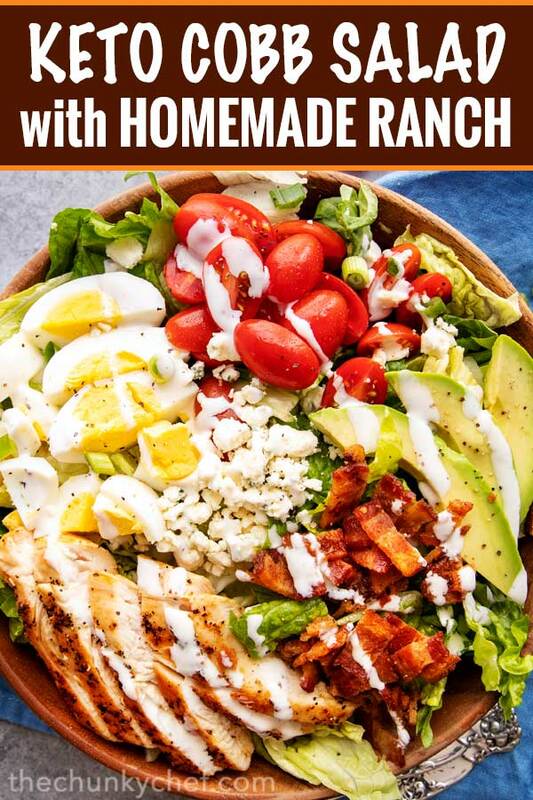 This version adds extra fats (from cooking the chicken in bacon grease, extra avocado, extra blue cheese, and a rich ranch dressing), to make it keto-friendly! One serving of this salad has only 6 net carbs, 67 g fat, and 17 g protein. WHAT DRESSING DO YOU SERVE WITH A COBB SALAD? 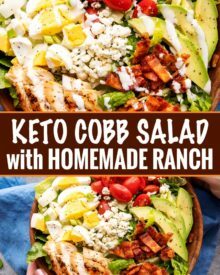 Traditionally Cobb salads are served with a red-wine vinaigrette, but I think this salad is perfect with just about ANY dressing! Blue cheese, balsamic vinaigrette, and of course, a classic ranch. 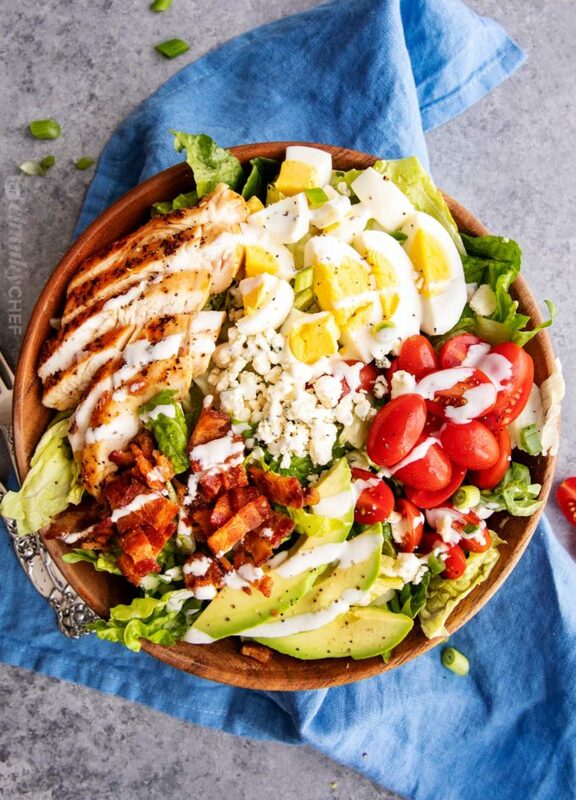 CAN THIS COBB SALAD BE MEAL-PREPPED? Absolutely! Just make sure to add portions of blue cheese crumbles and the ranch dressing in smaller cups. WHAT OTHER PROTEINS CAN BE ADDED TO A COBB SALAD? Turkey, pork tenderloin, salmon, shrimp, you name it! This will alter the nutritional values, but you can easily copy the ingredients into your favorite online nutritional calculator to find the new values. Use your favorite lettuce. I love the crunch of romaine, but feel free to mix and match your favorites! Make sure to slice the avocados right before serving so they stay nice and green. If you’re not following a strict keto diet, feel free to play around with the amount of bacon, eggs, tomatoes, cheese and avocado. Meal Prep Containers – these containers are perfect for salads, or there’s a glass alternative. Dressing Cups – perfect for salad dressing and keeping blue cheese contained. Avocado Tool – never stress about slicing avocados again! Whisk all dressing ingredients (except heavy cream) in a small mixing bowl. Add heavy cream, starting with 2 Tbsp and increasing 1 Tbsp at a time, whisking until dressing has reached desired consistency. Set dressing aside. To a large skillet, add bacon slices and cook over MED LOW heat until crisp. Remove to a plate to cool. Season chicken breasts with salt, pepper and paprika. 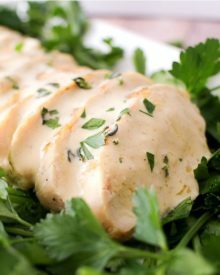 Increase skillet heat to MED/MED-HIGH and add chicken breasts, cooking 5-6 minutes per side until cooked through and golden brown. Remove to plate to cool. Crumble bacon, and slice chicken once cooled. Assemble salad by adding romaine lettuce to large bowl. Top with hard-boiled eggs, avocado, tomatoes, green onions, blue cheese, bacon crumbles and sliced chicken. 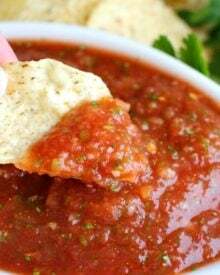 Serve drizzled with ranch dressing. Wow! 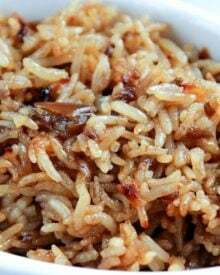 It’s a must try Recipe for weekend. Your website is paradise for foodie people. This will quickly become a family favorite! Yum! I’m not sure what I like best, all the tasty ingredients or the delicious homemade dressing?! Thanks for sharing! This salad is rich and nutrient! Looks heavenly! Need to make this immediately! I know for sure this would be a huge hit in my house! Such a classic!!! Love! Okay this looks amazing! I can’t wait to make! All of your suggestions for proteins sound great! 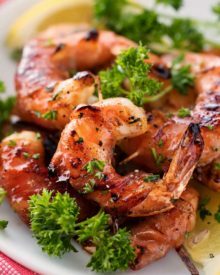 This will be easy to customize if you aren’t following a keto diet! Looks great! 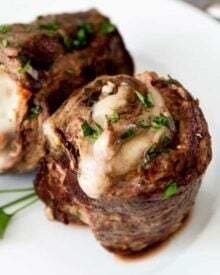 I am always looking for a delicious keto friendly recipe. I can’t wait to make this homemade ranch dressing.